Breitbart.com’s Joel Pollak, author of the new book: See No Evil, 19 Hard Truths the Left Can’t Handle, joins Jason Hartman for this episode of Holistic Survival. 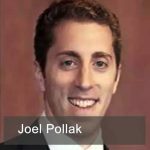 Joel is Senior Editor-at-Large and In-House Counsel at Breitbart News in Los Angeles, California, and also Editor of Breitbart California. Joel is a Research Fellow at the Hudson Institute, with a primary focus on human rights and international law, and has written two other books: The Kasrils Affair: Jews and Minority Politics in Post-Apartheid South Africa, and Don’t Tell Me Words Don’t Matter: How Rhetoric Won the 2008 Presidential Election.